The accelerated expansion of the universe is thought to be caused by a new phenomenon, dark energy, or perhaps requires a modification in our theory of gravity. We know little about the fundamental nature of dark energy: is it constant, or does it change in time? DES has observed thousands of supernovae and hundreds of millions of galaxies to measure or constrain changes in dark energy over cosmic time. For over 13 billion years, the universe has been expanding. The earliest evidence for expansion came from the work of Edwin Hubble, Vesto Slipher, and others in the 1920’s, who studied the distances to and the motions of galaxies a few million light-years distant. They found that the farther away galaxies are, the faster they recede from us, with recession speed proportional to distance. 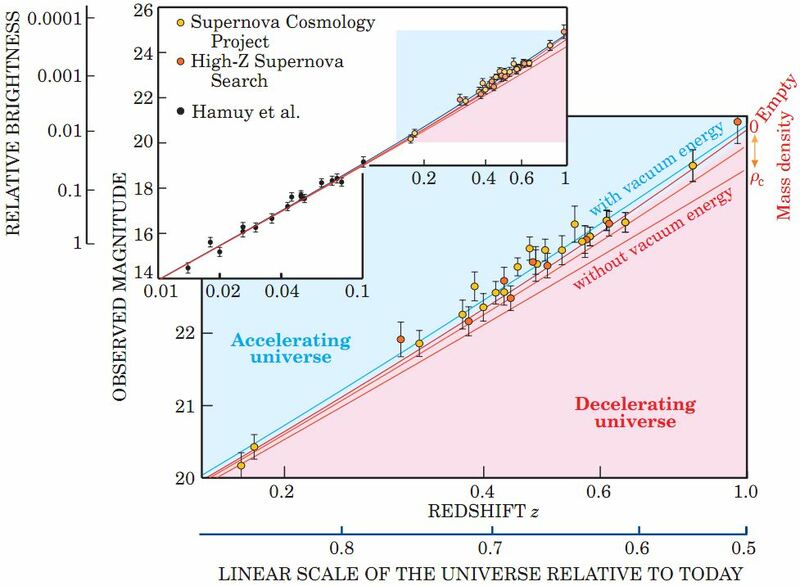 This Hubble Law of recession is universal: all galaxies across the universe are speeding away from each other with speed proportional to distance; that is, the universe is expanding. The expansion can be visualized by imagining a rubber sheet with a square grid imprinted on it, with galaxies occupying points on the grid. As the sheet stretches with the expansion, the size of the grid squares grows. As a result, any two points fixed on the grid move away from each other with a relative speed that’s proportional to the distance between them. With time, there is more and more space between the galaxies. 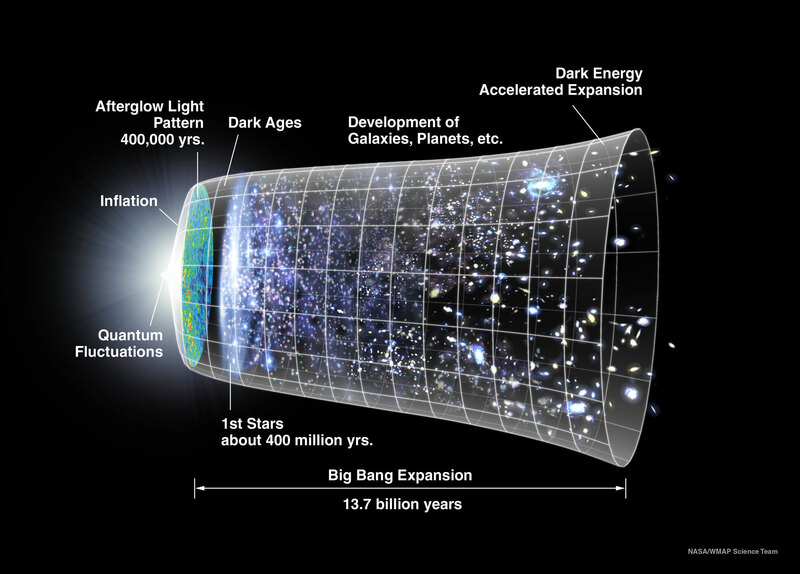 Another visualization is presented in Figure 1, which shows the entire history of the universe, from the moment of the Big Bang (left) to today (right): when we look out at the universe, we look (leftward) into its past. The vertical size of the cone provides a scale for relative size of the observable universe from our vantage point on the right. While cosmic expansion increases the distances between galaxies, they and their constituents still feel gravitational attraction: they are pulled toward each other whilst the expansion takes place. Galaxies and groups of galaxies can therefore remain gravitationally bound objects despite the overall expansion. Figure 1 also shows how stars, gas, dust, and dark matter eventually agglomerated into galaxies and galaxies into larger structures of the cosmic web (see Figure 4). Figure 2: The fabric of space-time is warped by any object with mass; the greater the mass, the larger the resulting curvature of space-time. In the early 20th century, Albert Einstein set the stage for modern cosmology by formulating his theory of gravity, General Relativity: curved space-time tells mass and energy (including light and particles of matter) how to move, while mass and energy tell space-time how to curve. This means that any thing that has mass (or energy) will warp space-time, even if slightly; and, in turn, that warped space-time will change the trajectories of particles traveling through it. Applied to the universe as a whole, Einstein’s theory relates the rate of cosmic expansion to the mass-energy of all the stuff in the universe. Since galaxies feel the gravitational tug of their neighbors, we would expect them to slow down over time: the expansion should be decelerating. If there were enough matter in the universe, the curvature of space-time would be strong enough to eventually reverse the expansion, leading to a big crunch in which everything collapses to an infinitely dense point. Throughout the 20th century, cosmologists attempted to measure the density of matter in the universe and the rate of slowing of the expansion, in order to answer the question of whether the universe would expand forever or recollapse. This picture changed in 1998, with the discovery by two teams of astronomers studying distant supernovae–exploding stars–that the expansion is not slowing down but speeding up. A particular kind of supernova, called a type Ia, reaches its maximum brightness (comparable to the brightness of an entire galaxy) two to three weeks after exploding and then fades over a few months. Type Ia supernovae have the remarkable property that, after accounting for differences in their colors and the rates at which they fade, they all have nearly the same intrinsic maximum brightness. For such “standardizable candles”, measuring how bright they appear to us tells us how far away they are and thus roughly how long it has taken their light to reach us. The two teams of astronomers found that supernovae that exploded when the universe was about two-thirds its present size appeared about 25% fainter than would be expected if the expansion were decelerating (see Fig. 3). This discovery of cosmic acceleration was awarded the Nobel Prize in physics in 2011. Figure 3: Supernova Hubble Diagram shows brightnesses of supernovae (vertical axis) vs. the size of the universe (horizontal axis). The blue region shows universes that accelerate, and the pink region shows universes in which the expansion slows down. The supernovae measured in the late 1990’s were fainter (and thus farther away) than expected for a universe that is decelerating, i.e., without dark energy. Since ordinary matter would cause the expansion to slow down, cosmic acceleration requires us to posit a new, unseen form of energy in the universe–now called dark energy–that would have the strange property of giving rise to gravitational repulsion instead of attraction. Our picture is that, for much of cosmic history, matter dominated over dark energy and the expansion indeed slowed, enabling galaxies and large-scale structures to form as indicated above in Fig. 1. But several billion years ago, matter became sufficiently dilute due to expansion that dark energy became the dominant component of the universe, and the expansion hit the gas pedal. Around the turn of the millennium, this picture was bolstered by maps of the large-scale spatial distribution of galaxies, as shown in Fig. 4, and observations of the Cosmic Microwave Background (CMB) radiation. The CMB measurements showed that the spatial geometry of the universe is flat or Euclidean–two light rays emitted in parallel will always remain parallel, which is not the case if the geometry is curved–and this determines the total energy density of the universe. By contrast, the galaxy maps indicated that the density of matter in the universe is only about 30% of this total, so there must be another, unseen component that makes up the remaining 70%. That deficit fits perfectly with how much dark energy should be there according to the supernova observations. Most of the mass in the universe comes from “dark matter,” which does not interact directly with light; dark matter interacts through gravity and at most weakly with other particles. 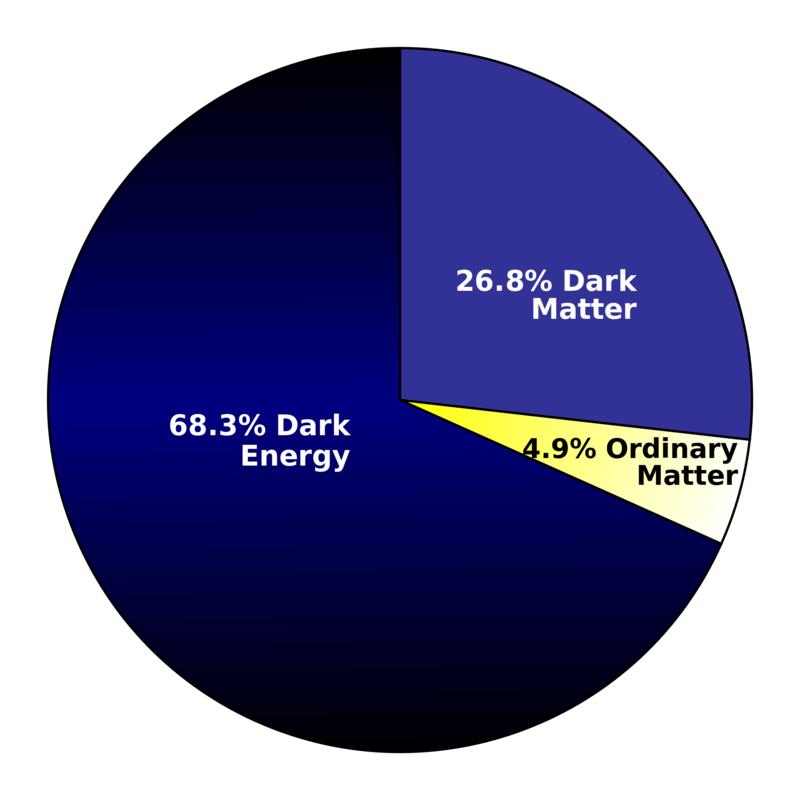 The total cosmic energy budget is made up of about 25% dark matter, 5% “baryonic” or “ordinary” matter that is made of atoms, and about 70% dark energy (see Figure 5). We don’t yet know what makes up most of the energy in the universe. 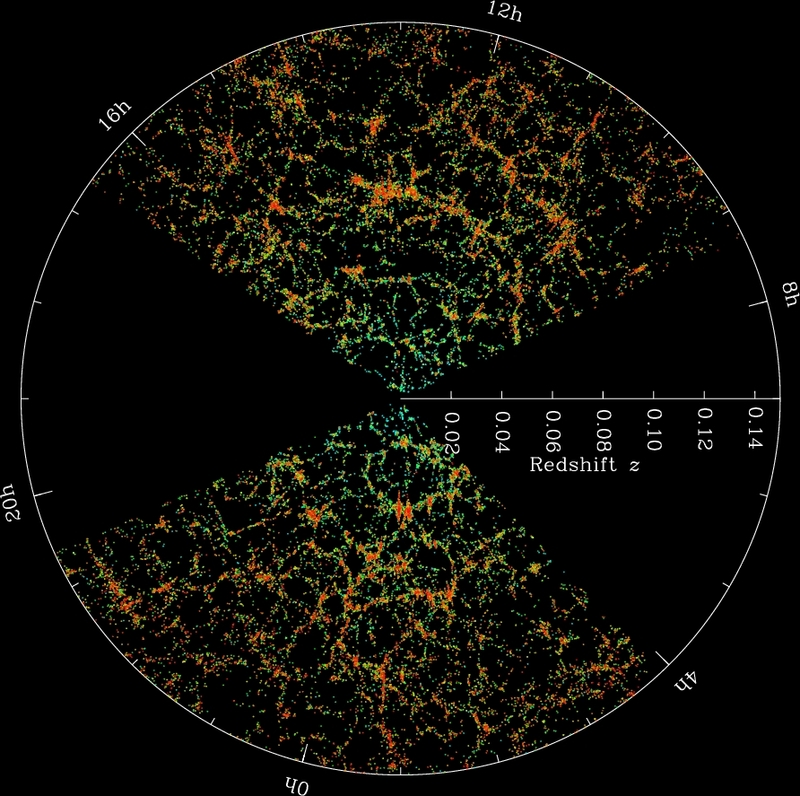 This makes dark energy one of the greatest mysteries in cosmology (perhaps all of science) as well as the focus of many experiments and surveys, possibly for years to come. What might dark energy be? One explanation is that dark energy is the intrinsic energy of empty space or of the vacuum.  Scientists often refer to this as the “cosmological constant” — represented by the Greek letter, Λ (“lambda”), which is the same constant proposed by Einstein a century ago! In this theory, the vacuum energy behaves as a source of negative pressure that accelerates cosmic expansion. The vacuum energy would be constant throughout space and time. However, what if the density of dark energy changes over time? This is the question that many modern cosmology experiments and surveys, such as DES, are working to answer. One possibility for dark energy that changes in time is a new field that permeates the universe and that is in essence a much, much lighter cousin of the Higgs boson discovered in 2012 (this idea is sometimes dubbed “quintessence”). 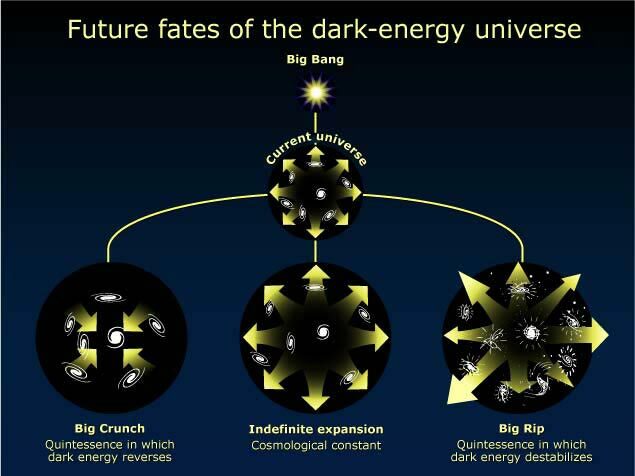 In these models, the density of dark energy would be slowly decreasing with time. A more exotic possibility would be if the density of dark energy grows over time; this would eventually result in a “Big Rip,” in which the gravitational repulsion of dark energy would grow so strong as to rip apart galaxies, stars and even atoms (see Figure 7). How is DES suited for this study, and the probes? The Dark Energy Survey is using four probes, all observed with a single instrument, to study cosmic acceleration with unprecedented accuracy and precision. The late 20th century gave us the era of ‘precision’ cosmology, in which we sought larger numbers of celestial objects (stars, galaxies, supernovae, etc.) for our measurements and analysis. The 21st century is now bringing the era of ‘accurate’ cosmology, in which our measurements are becoming increasingly exact. That is, we are performing our observations and analyses with greater and greater specificity, reducing the effect of systematic (measurement) uncertainties on our measurements. To learn that dark energy existed, we measured the structures within the universe (e.g., galaxies and galaxy clusters), the geometry of the universe (e.g., the Cosmic Microwave Background) and the expansion rate of the universe (with supernovae). In the Dark Energy Survey, we measure different versions of all of these phenomena. 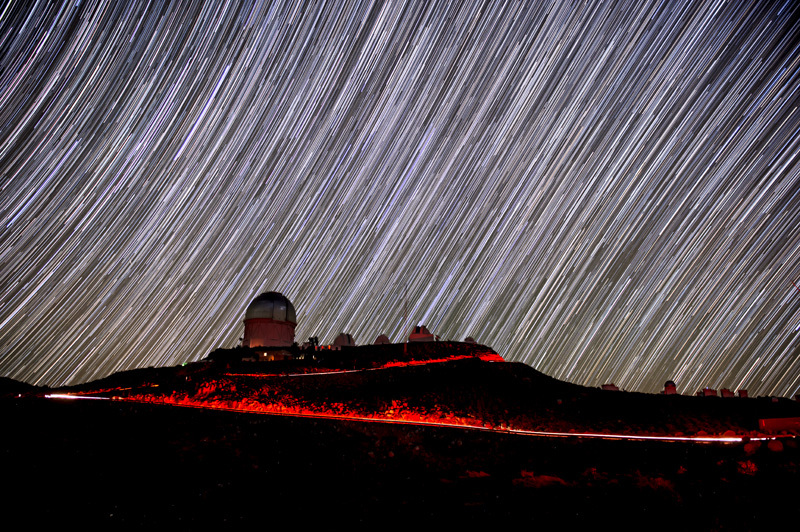 DES uses four probes of these phenomena to measure the effects of dark energy on the expansion history of the universe and on the growth of structure. We have observed thousands of supernovae, more than any other single survey in history: this reveals the expansion history of the universe. Using weak gravitational lensing and galaxy clusters, we have learned more about the formation of structure and the amount of matter in the universe. Finally, we measure the distribution of galaxies across the cosmos through a technique called Baryon Acoustic Oscillations (BAO): this is similar to the measurements made of cosmic geometry with the CMB, but DES uses galaxies.